Need instant cash in Surrey BC? Looking for the reliable loan provider? No worries at all! 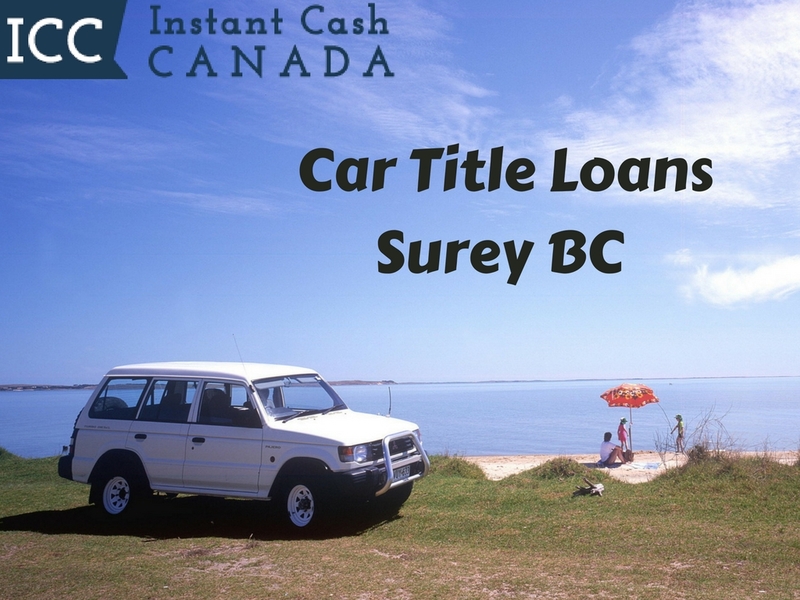 Just call Instant Cash Canada and get ready to apply for Car Title Loans Surrey BC. The loan amount is determined on the basis of your vehicle’s year, make, model and mileage. We have the easy documentation and the minimal requirements. Your vehicle’s clear title is used as a collateral for the loan. You can borrow up to $40,000. At Instant Cash Canada, the borrower can get the needed funds as quickly as possible. We are providing the low-interest rates and offer convenient payment options for vehicle title loans Surrey BC. Our monthly payments are as low as $97. There are no prepayment penalties or extra charges for the loan. The loan terms are longer up to 4 years. You can also keep your car during your loan with us. No need to worry about high-interest rates and inflexible loan terms when you apply for a title loan instead of a traditional bank loan. We have a simple four-step process for the convenience of the clients.